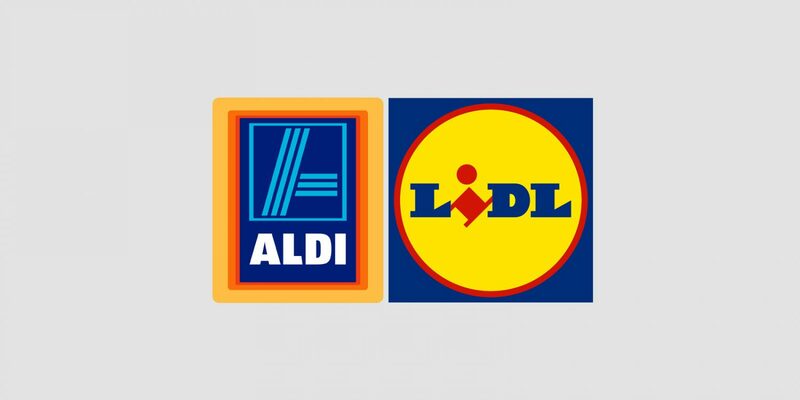 Fast growing supermarkets Aldi and Lidl have been making headlines for all the right reasons lately. More shoppers than ever before are filling their trolleys to the brim at the stores resulting in booming sales and figures which the big four grocery retailers can only analyse with envy. Not content with taking on the likes of Asda, Tesco, Morrisons and Sainsbury’s in the traditional out-of-town arena, Aldi and Lidl have announced they will be stepping into the highly competitive convenience market by opening smaller stores on high streets across London before embarking on a UK-wide roll out. The rise of these two supermarkets in the UK has been so rapid that they have caught the entire sector completely by surprise. The big four grocers are still trying to figure out what has happened and what it is that the UK consumer really wants from its local supermarket – in or out of the town centre. Even some shoppers may be a little surprised to find themselves walking up and down the aisles of the discount stores. The reason for such growth may lie simply with the fact that these two budget retailers have responded to consumer needs better than any other and have continued to adapt to meet their needs. When the country slipped into recession, shoppers had less money to spend and also spent less frequently. Like businesses everywhere, consumers looked to cut costs but importantly they didn’t want to sacrifice on quality – the savvy shopper had arrived on the UK high street. Germany-based Aldi and Lidl were already well in-tune with this consumer thinking. For a long time ‘Geiz ist geil’ or ‘stinginess is cool’ epitomised German retail and retailers have had to become equally savvy in tempting them to part with their money. Helped by news stories featuring favourable consumer taste tests and some entertaining advertising, the two stores have promoted themselves as nothing more than supermarkets which do exactly the same as the big four, only cheaper – music to cash-strapped consumers’ ears. And as the country emerged from recession and several years of austerity measures, as shoppers have found they have a little more spare cash in their pockets, Aldi and Lidl have taken full advantage of a recognised retail trend called the Lipstick Effect. It is where affordable luxury goods perform well during tough economic times – as consumers look to treat themselves in exchange for cutting back on other things. In November, Lidl unveiled its Deluxe range which includes lobster, ostrich steaks and pheasant. In October, Aldi launched its affordable range of organic products which the retailer said would help customers save 25 per cent on their normal British organic basket. The result has seen shoppers switching to the budget retailers in their droves. A recent survey of Mumsnet users by SMG found a third of mums had switched supermarkets in the past six months, with 30 per cent stating that they now regularly do their main shop at Aldi. Grocery is not the only sector where the budget brand has won favour with consumers. Primark, the UK’s biggest clothing retailer by volume, is continuing to expand here and has ambitious plans to grow overseas too. Budget hotel chains like Travelodge, Premier Inn and Ibis have proved to be less susceptible than luxury hotels to the global financial crisis as holidaymakers chose to stay ‘at home’ rather than travel abroad as the full effects of austerity took hold and demand for affordable lodgings increased. And whilst the Lipstick Effect phrase was coined by the Leonard Lauder, chairman of luxury beauty brand Estee Lauder, even that sector has not escaped the rise of the budget brand. Brand8 PR client, Inline Health & Beauty, has seen its range of Anovia shower gels, tanning lotions and hair products go from strength to strength to meet demand from consumers who want to look and smell good without breaking the bank. Despite the recession ending and workers beginning to see their wages grow, budget brands and affordable luxuries continue to manifest themselves on our high streets and it is clear to see that savvy shoppers want them to stay. What a beauty PR account win!